The moment you’re diagnosed with diabetes, the world can seem like a very scary place. You’ve heard stories of people suffering from diabetes, and you’ve heard all about the complications they’ve endured. Moreover, perhaps you’ve seen E.R and various other hospital-based television shows and witnessed folk slipping into comas because they haven’t been looking after their diabetes very well. It’s easy to get the impression that, as a result of your diagnosis, you’re now a ticking time bomb. But if you introduce some diabetes-beating nutritional super-foods into your life, you’ll be giving yourself a much better chance of living a stronger, healthier, and more normal life today. There is an argument that all chocolate is created equal, but this is not so. Dark chocolate might not be superior to its various chocolate counterparts when it comes to taste and enjoyment (though this really depends on your personal discretion), but it is superior when it comes to its health benefits. Although all chocolate comes packed with nutritional flavonoids (nutrients which help to lower insulin resistance, as well as reduce insulin levels and improve insulin sensitivity), studies have shown that dark chocolate is much more potent when it comes to how these flavonoids react in our bodies. This is because dark chocolate contains more beneficial flavonoids, and the upshot is that, when we consume it, we feel less like eating sweet and salty stuff. Broccoli is a superhero when it comes to fighting the arch-villain, diabetes. A cruciferous vegetable, broccoli comes rich in sulforaphane, a compounds which triggers anti-inflammatory processes that go onto improve our blood sugar. These compounds are also adept at protecting the blood vessels around our heart, which are often at a greater risk when we’ve got diabetes. The great thing about blueberries is that, because they’re so small and tasty, they can replace one of those sweeter snacks you tend to munch on whenever you’re a bit peckish – such as Maltesers. They’re better than Maltesers because, not only do they taste just as great, but they come with much better health benefits. Coming with both insoluble and soluble fibre, you get the best of both worlds. You get the former, which helps to rid your system of fat, and you get the latter, which improves your blood sugar control. Studies have shown that if you consume 2 cups of wild blueberry juice each day, you can dramatically lower your blood glucose levels whilst lifting depression. Another bonus is that it’s also possible to enhance your memory too. Win. If you love fish, you’ll be pleased to know that you should try and eat even more of it. Packed with protein, fish is good for keeping us full – and it’s also great at preventing complications from diabetes occurring, such as stroke. This is because it contains omega-3 fatty acids, which are great at cooling inflammation. 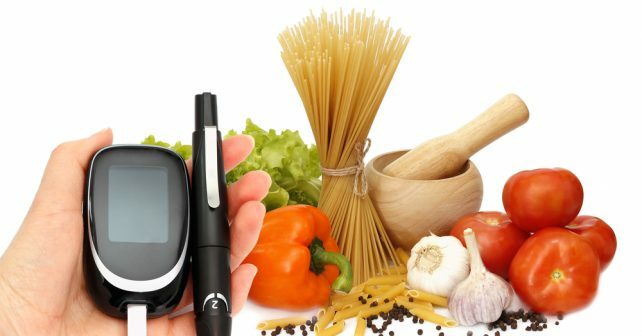 This is important for diabetes sufferers, because inflammation is what can lead to those nasty complications. We do advise staying away from fast-food fish, though. Fast-food fish can actually increase your risk of stroke.